White Paper: Additive Manufacturing is Reshoring Jobs, But Can the Trend Continue? North American manufacturing has been facing a rapidly-evolving future since the mid-1990s. However, technological trends, spurred on by additive manufacturing (AM), are turning the tides on a narrative that preached offshoring. In this 17-page white paper, you'll see quantifiable evidence that AM is helping reshore manufacturing jobs that were once thought lost. In fact, some of the world’s largest companies and agencies, including GE, Nike and NASA, are employing AM to push their products and designs forward with even greater complexity. But will this trend continue? What kinds of investments are needed to train a workforce for this new age of manufacturing? For answers, look no further than this whitepaper. 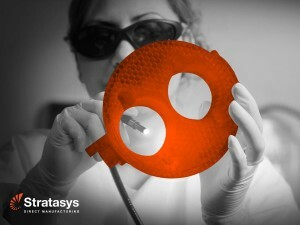 Your download of this whitepaper is sponsored by Stratasys Direct Manufacturing.